On the shores of Blue Mountain Lake, this community is a picturesque Adirondack village known for its exceptional outdoor attractions. Hiking, paddling, sailing, camping, snowmobiling, hunting and fishing are available here. The area is also home to the renowned Adirondack Museum. 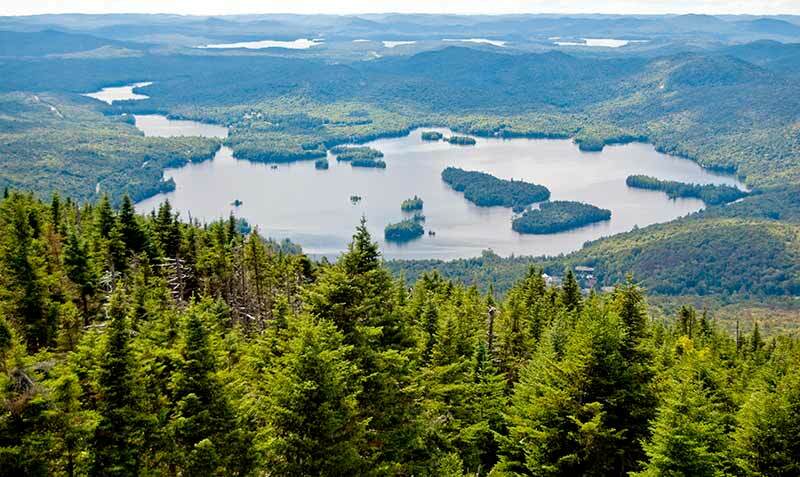 A world-class facility in a protected environment, the museum shares a wealth of Adirondack Mountain lore and history through exhibits, programs and events for the entire family. The tiny village of Blue Mountain Lake welcomes visitors with typical Adirondack warmth and hospitality. Life is restful here, where you can take a bike ride along a scenic country road and perhaps come up close and personal with a moose. Your choices of lodging may include an elegant or rustic bed and breakfast, motel, or camping. Dining includes an array of local inns, delis, and restaurants offering a hearty Adirondack meal. Blue Mountain Lake is about an hour and a half drive from Lake George NY and 3 hours from Montreal.